FC510 Series of labor-saving the packing process of cardboard | Case Packers | FUJI MACHINERY CO.,LTD. A setup case packer with a top open technique. 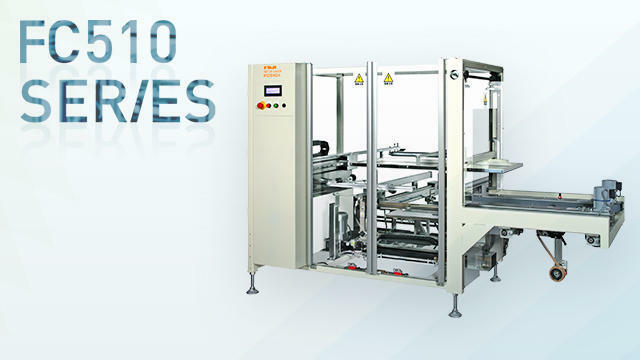 Combines with robot dispensing, making it suitable for saving labor in the inserting and packing processes. There are also a wide specification FC510W and a sheet right angle stacking type FC510WII lineup.